We welcome our new WSN member, Jessica Warner from Twofold online boutique! 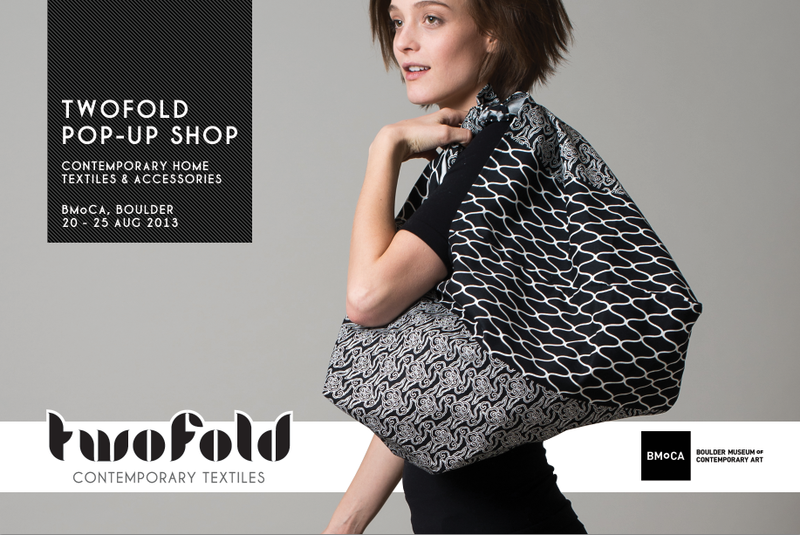 Two-fold is having a pop-up shop at the Boulder Museum of Contemporary Art next month featuring various contemporary textile artists who embrace traditional practices. The store features designers such as Japanese brand Kyototo, Proud Mary, Suki Cheema, and Boulder’s own Comma Workshop. Go see these finely crafted products for yourself! This entry was posted on 25 July 2013 by World Shibori Network.